This years hottest kitchens will be highlighted by pops of blue, whether in the form of new dishware, marble, or colored upholstery. 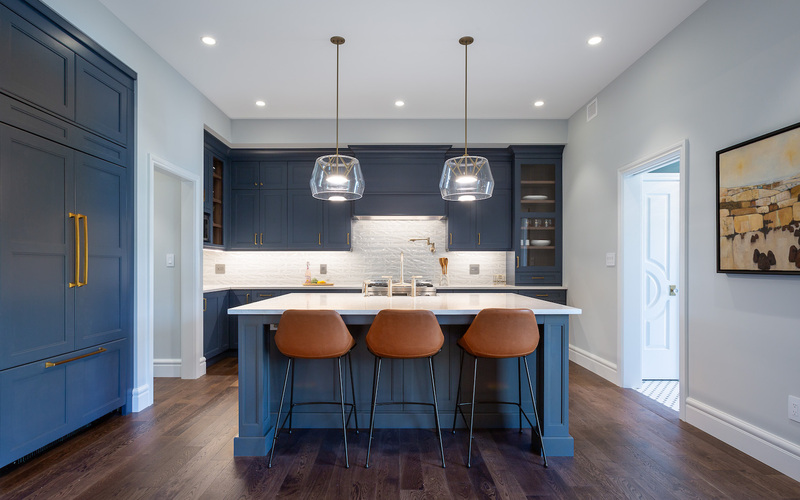 White-on-white kitchens are finally passe, but luckily, bringing blue into your Oakville kitchen needn’t mean gutting the room entirely. Trendy kitchens can exploit last year’s white decor by bringing swathes of blue into the space in the form of accessories. This is the best way to update your palette without making breaking the bank. Reupholster your chairs, install a new backsplash, or consider blue kitchenware. In exchange, you get to enjoy a refreshed aesthetic and a few new, functional items. If your home improvements demand a thorough update, a kitchen facelift gives you a new look at a lower price. You can add wall and window treatments along with refaced cabinetry without removing your shelving and appliances. Your wood can be sanded and recoated at a fraction of the price of a full remodel. 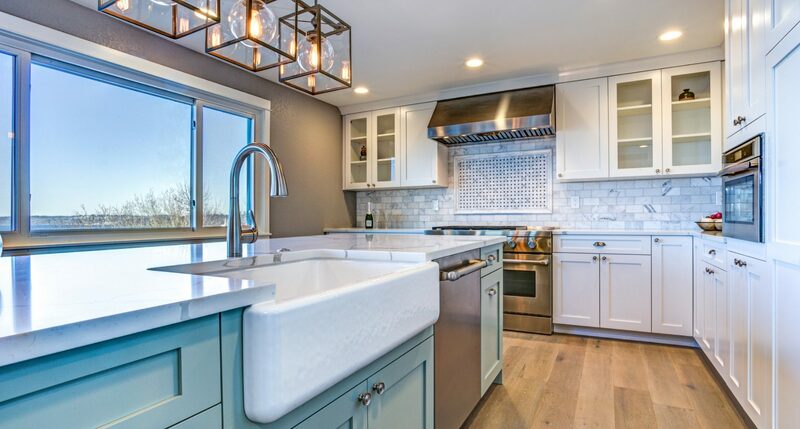 A purposeful new paint job can completely transform the dynamic of your kitchen. If you prefer dramatic home improvements, you can gut the room and replace it entirely. Your countertops, floor treatments, and cabinets will be completely removed to make room for a brand new installation. You can even replace your plumbing and appliances, but choosing features that will be easy to update in the future will help you to keep the room up to date. Wood can be resurfaced easily, but marble and granite cannot. Choose a classic aesthetic for permanent features and save your trendy finishes for surfaces you can easily recoat later. A few pieces of new artwork can be used as a foundation for a fresh mini-palette. A large, punchy painting can easily dominate your color scheme if chosen well. Add a fresh coat of paint, and your kitchen’s new blue look will be almost complete. Throw pillows, table runners, and Roman shades will nail down the style. LED lighting has evolved beautifully in the last decade, providing just the right shades to add a layer of color to your kitchen. A few omnidirectional lights are almost as good as a new wall treatment. A faux backsplash introduces color to your home improvements without committing you to anything permanent. You can use detailing tape to paint tiles onto your wall or a removable fabric or acrylic sheet. Alternatively, real tiles can be placed using tile mastic and grout. There are few limits to the home improvements you can put in place to update your palette. Whether you’re ready to commit to something permanent or need a quick, removable palette, you’ll be able to find just the strategy for your preferences if you think creatively.